I can't wait for her new series, really enjoyed everything she has written so far. 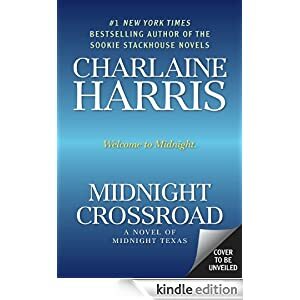 I'm probably one of the few lovers of the paranormal genre who hasn't read any of Charlaine Harris's work! This looks like a good series to start, and I've made a note to look out for it next year! Thanks for stopping by and commenting Marika! I am looking forward to this series too and I think that it will be interesting that the main protagonist is a man this time. Don't feel bad Barbara Ann there are so many series out there that it's hard to keep up with every one of them. Now that I am doing this blog I sometimes think that I have been under a rock somewhere because there are so many popular books out there that I haven't read yet. I don't think that I will ever catch up, there's just too much good stuff out there! Thanks for stopping by!